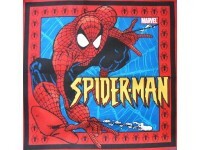 This Spiderman panel would make great cushion / pillow or quilt centre feature for the Spiderman fan. 100% cotton fabric. Panel measures approx 42cm (16 1/2") by 40cm (16"). 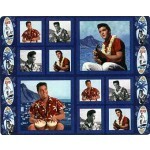 Licensed fabric by Spings Industries,Inc. PLEASE NOTE: THIS IS FOR 1 FRONT PANEL ONLY.